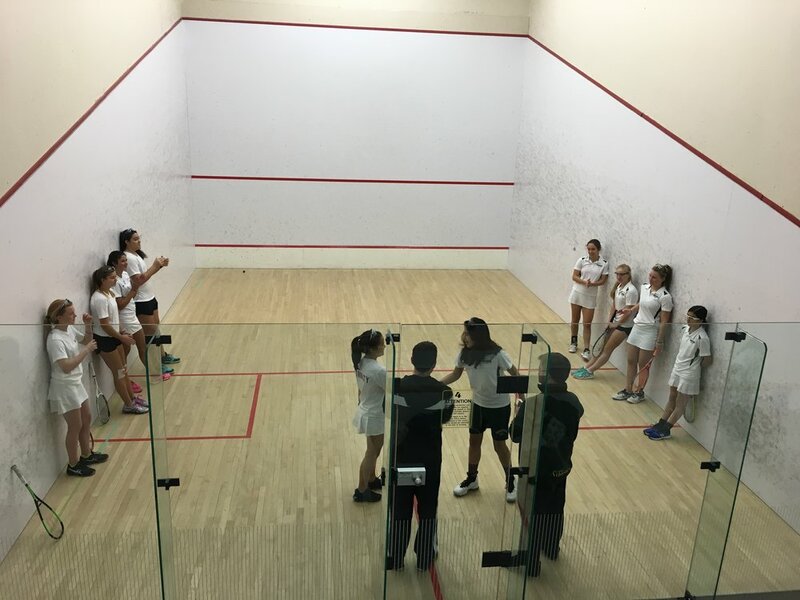 Long overdue, the Canadian Independent Schools Girls Squash League was launched this past Wednesday, kicking off the Squash Ontario school squash season. With special thanks to Sasha Vojnov at Trinity College School as well as historic programs at Ridley and Appleby, Squash Ontario partnered with the CIS to host the first ever all-girls invitational event at the Toronto Cricket Club. Eight schools (Appleby, Bishop Strachan School, Branksome, De La Salle, Havergal, Ridley, Trinity, and the Nichols School from Buffalo, NY) participated in the event, bringing a total of 12 teams across two divisions and 60 varsity female athletes. In the Advanced Division, Nichols School defeated Havergal College captained by National champion Charlotte Orcutt in the final with third place going to Trinity College School led by a strong international contingent who edged out the Gabby Waite led De La Salle team. The Intermediate/Beginner Division featured several players new to the game and some great camaraderie as Nichols School took home their second title of the day edging out Trinity in the round robin format. Congratulations to all team members and coaches for their support for this brand new league that showcases the rapid growth of squash in both the female and school demographics in North America. Look for more events on both the boys CIS front and Squash Ontario’s public high school squash programs in the new year and of course more Girls CIS squash. See below for photos of the event. Newer PostGet the latest swag at Squash Ontario's Online Store!